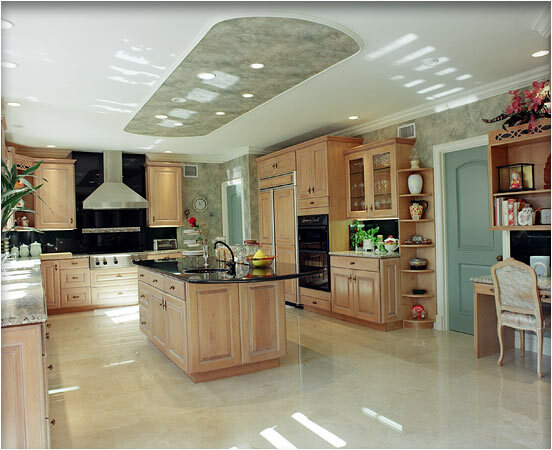 Larger Project 6-6, Kitchen » Roger Perron Inc. The kitchen has maple cabinets with antique finish. The counters are granite with black absolute granite for backsplashes and island. We used rosa granite for the counters. The hood has a remote blower with stainless steel finish. The window valances match the cabinets in this remodeling detail.